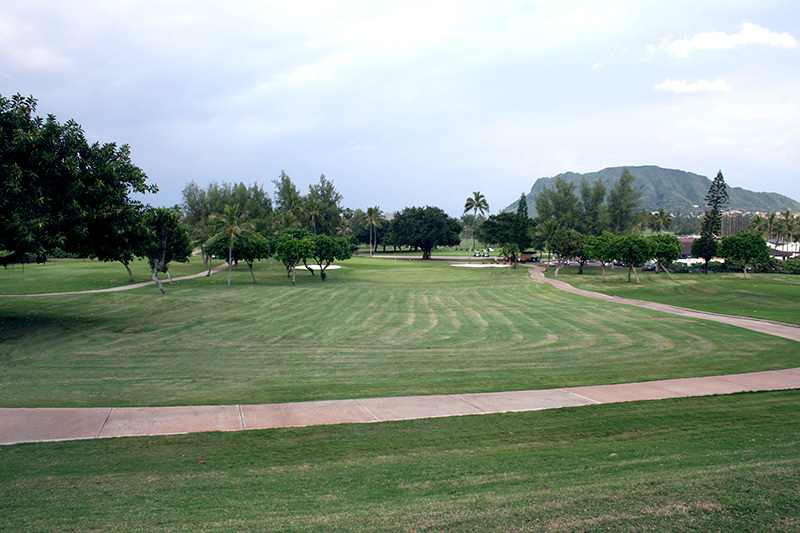 The Mokapu Peninsula, one of the most aesthetic places on Oahu in terms of natural beauty, is steeped in Hawaiian tradition. 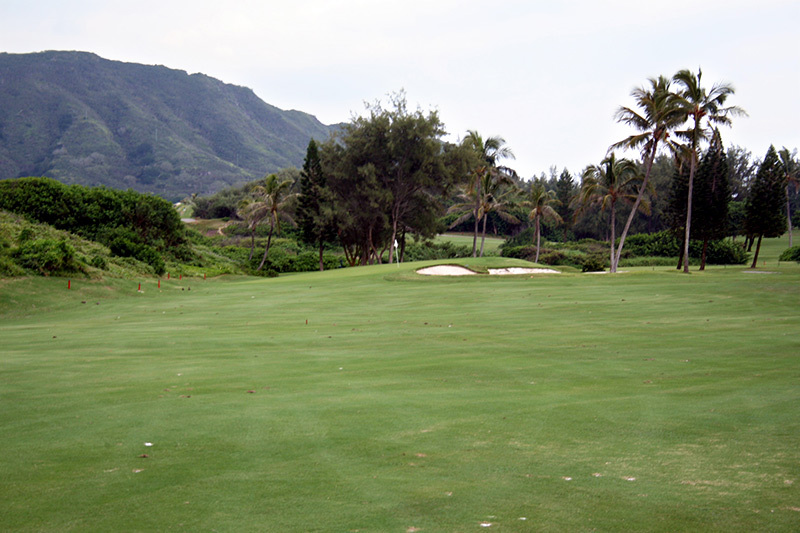 Its very name, “Mokapu,” means “Sacred Lands.” Ancient Hawaiians lived on Mokapu Peninsula from 1400-1700 A.D. and the sand dunes under Holes 13, 14, and 15 are an ancient burial ground that is listed in the National Register of Historic Places. 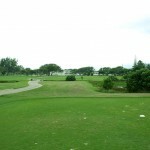 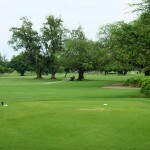 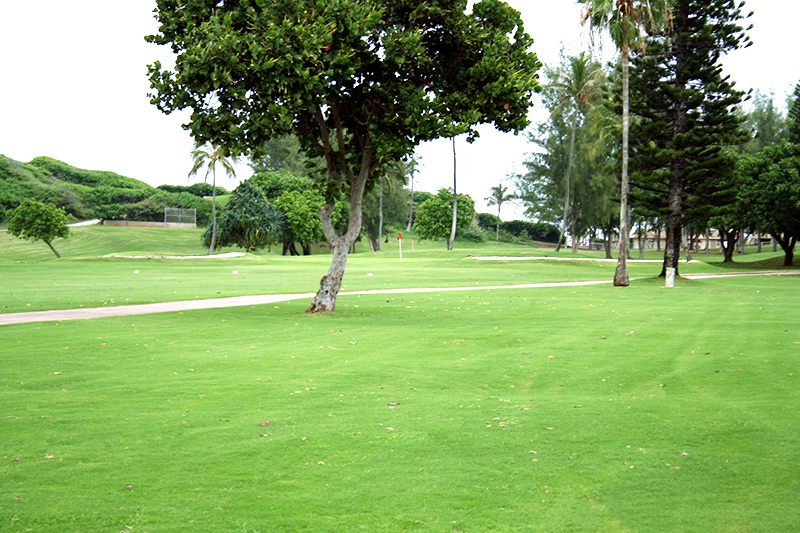 The first nine holes were constructed in 1952. 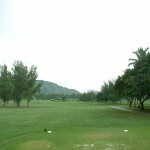 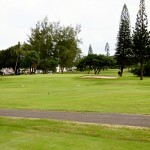 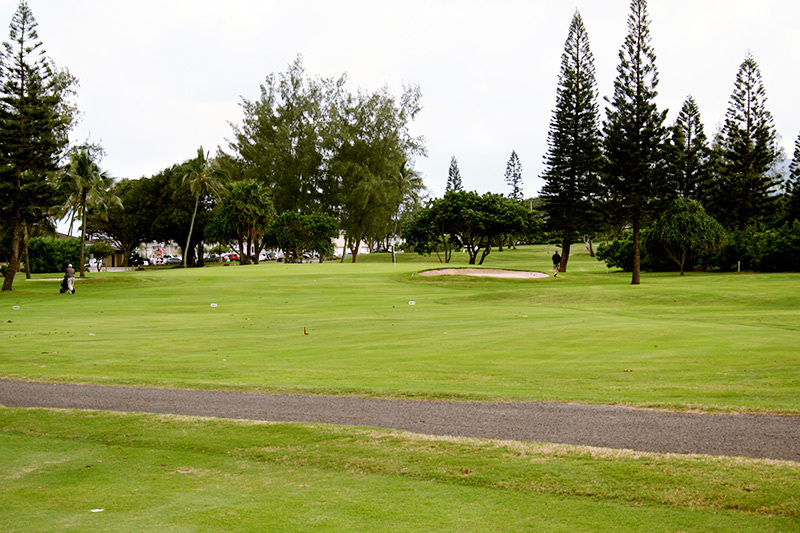 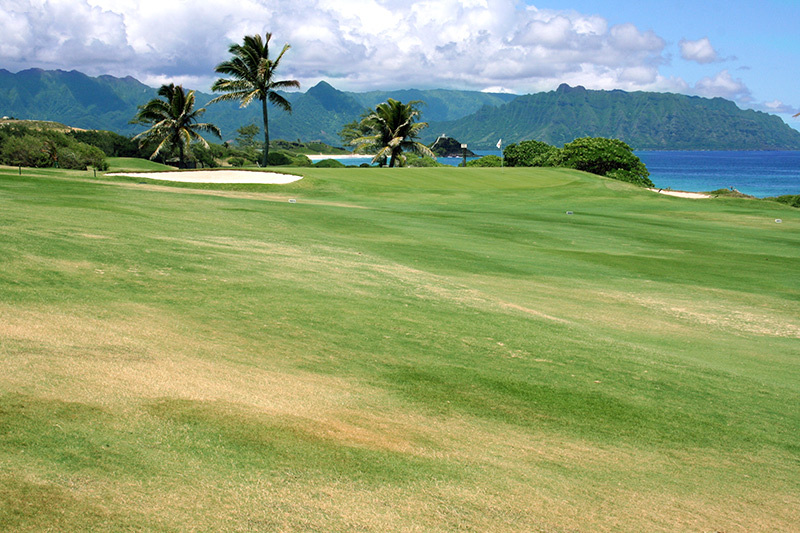 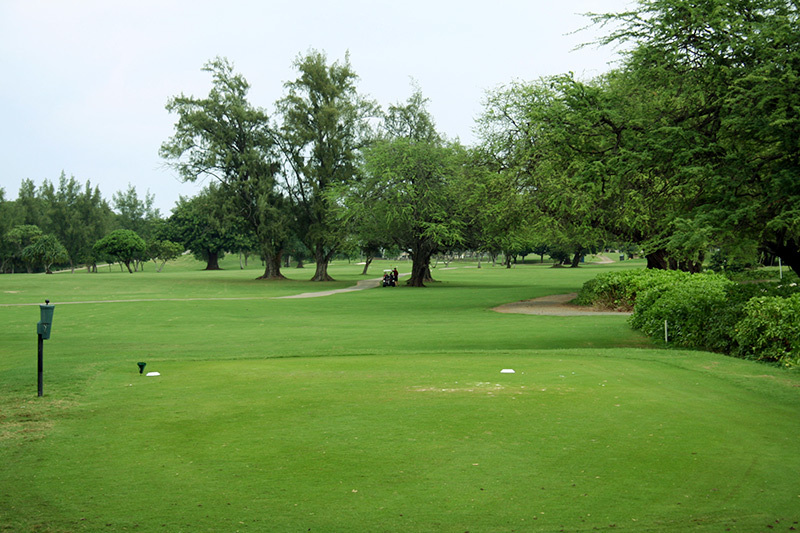 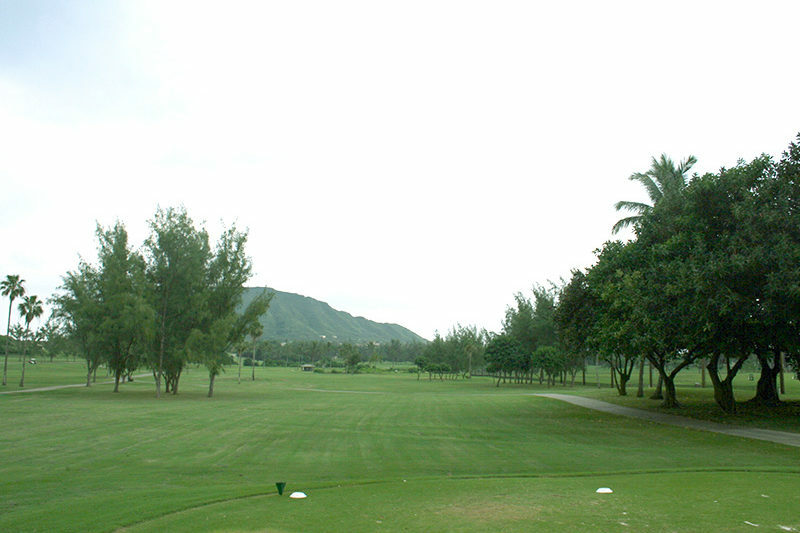 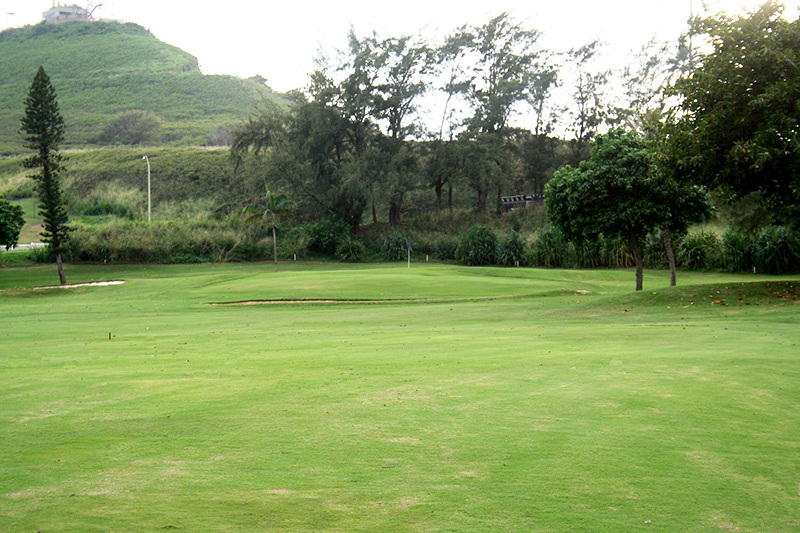 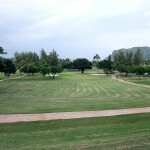 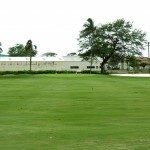 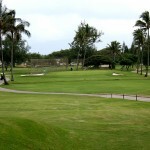 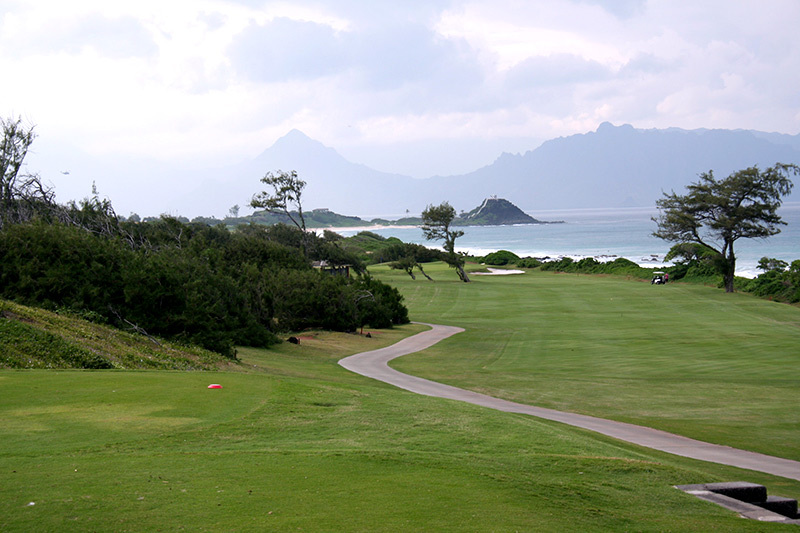 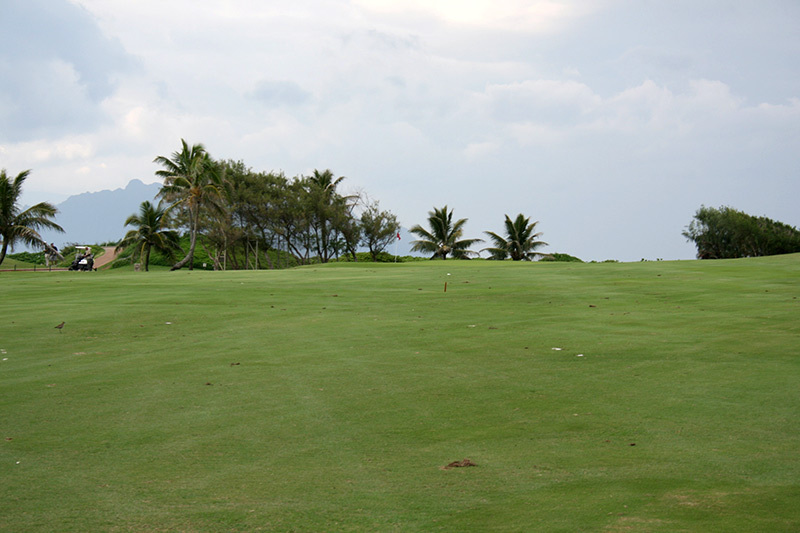 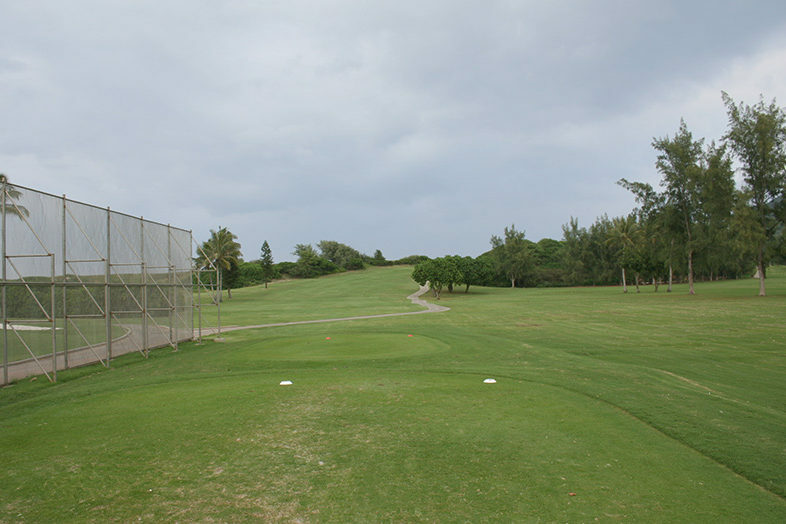 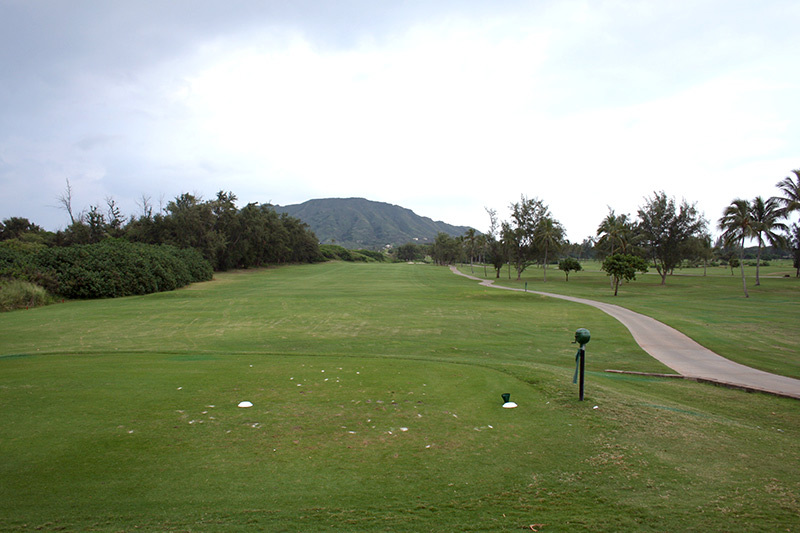 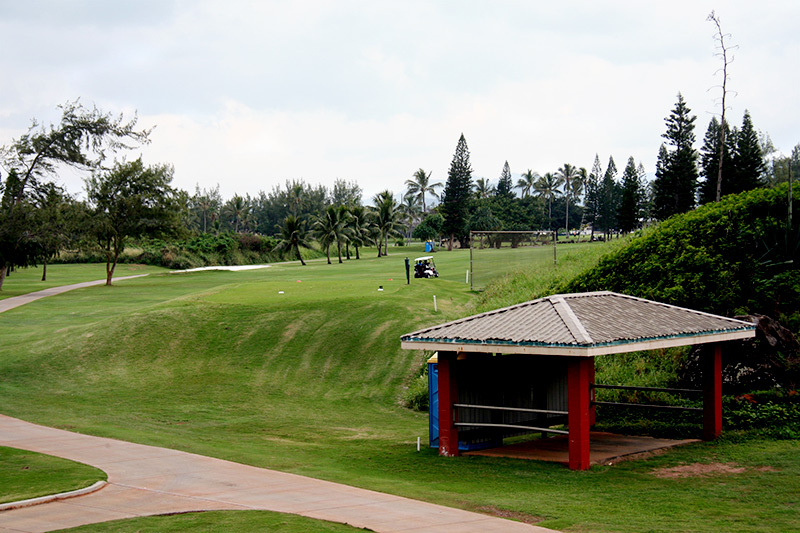 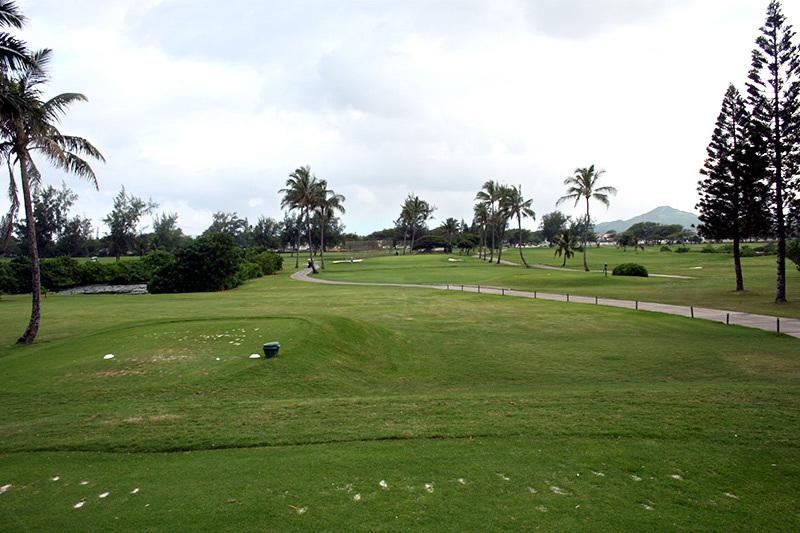 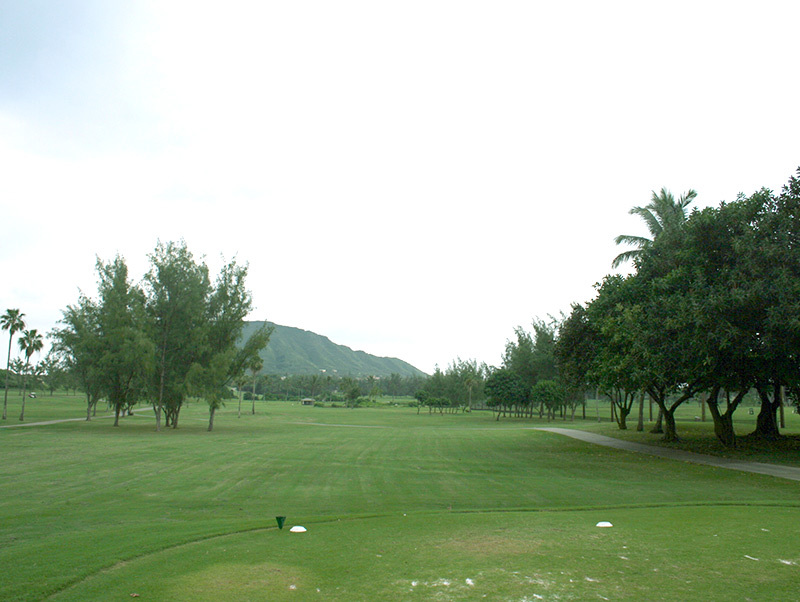 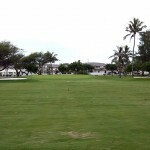 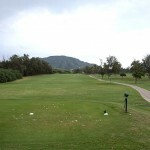 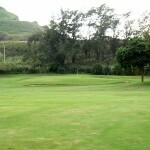 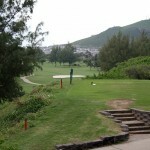 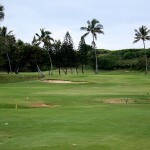 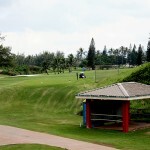 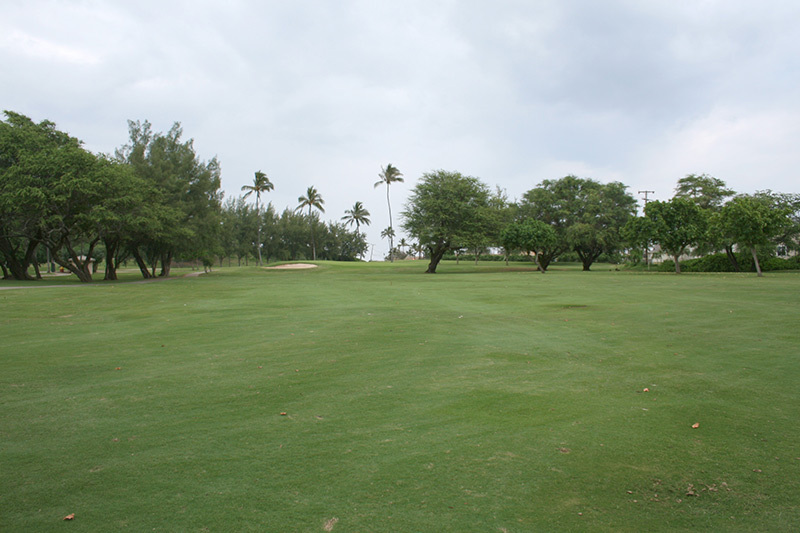 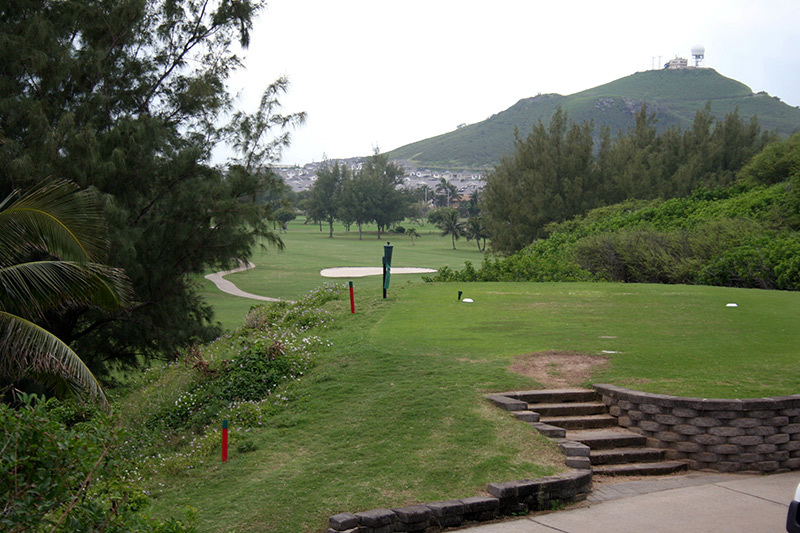 As part of the Marine Corps Air Station, Kaneohe Bay, construction began on a second nine holes and was completed in 1957. 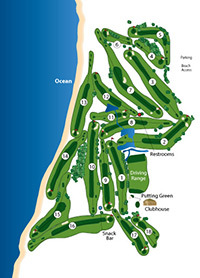 Click on the map to the right to see a larger view of the course layout. 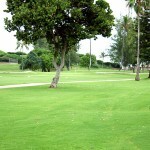 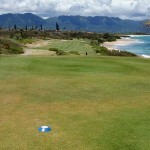 Hole #1 - This hole has a slight dogleg left into the prevailing trade wind. 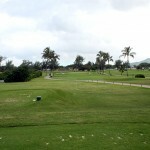 Club up on the approach. 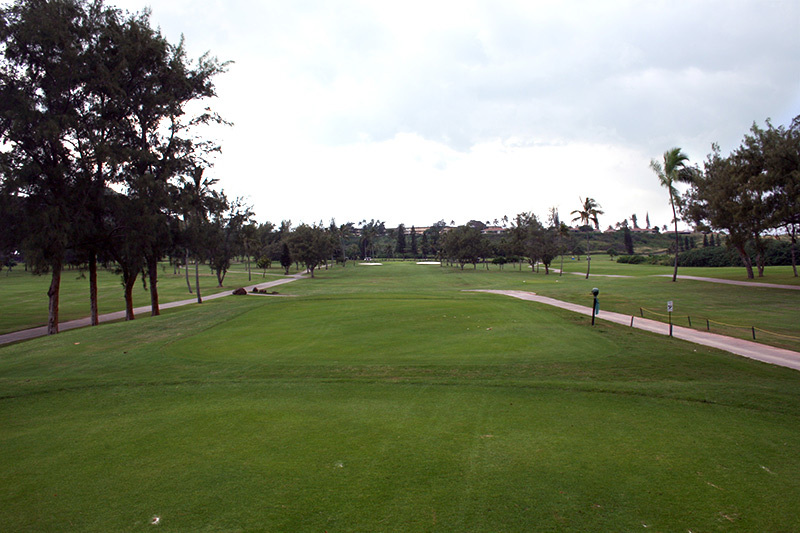 Hole #2 - Dogleg left and a severely sloping green from front to back. 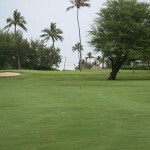 It's best to stay below the hole. 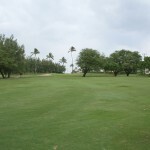 Hole #3 - Dogleg right into the wind. 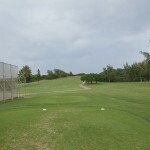 Play tee shot to the left of the two large ironwood trees on the right side. 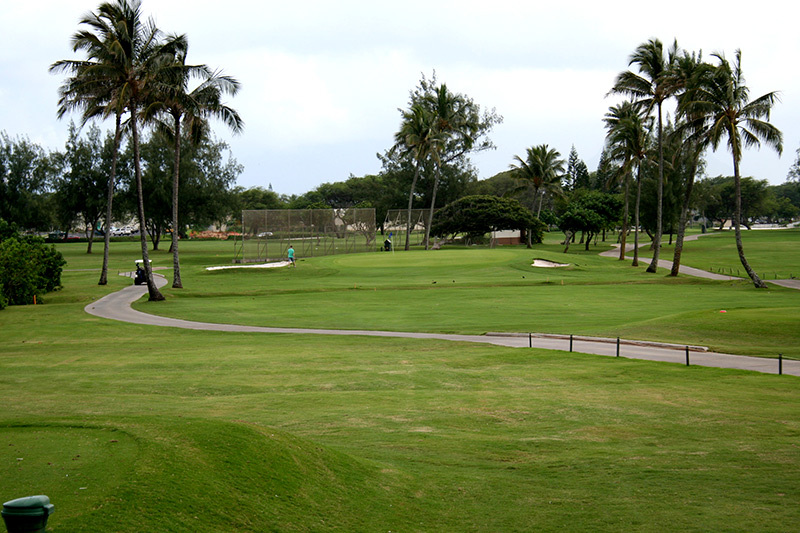 Hole #4 - Easiest par 3 on the course, but be aware, there's trouble long and left. 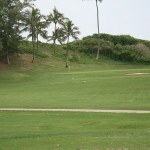 Hole #5 - Sharp dogleg. 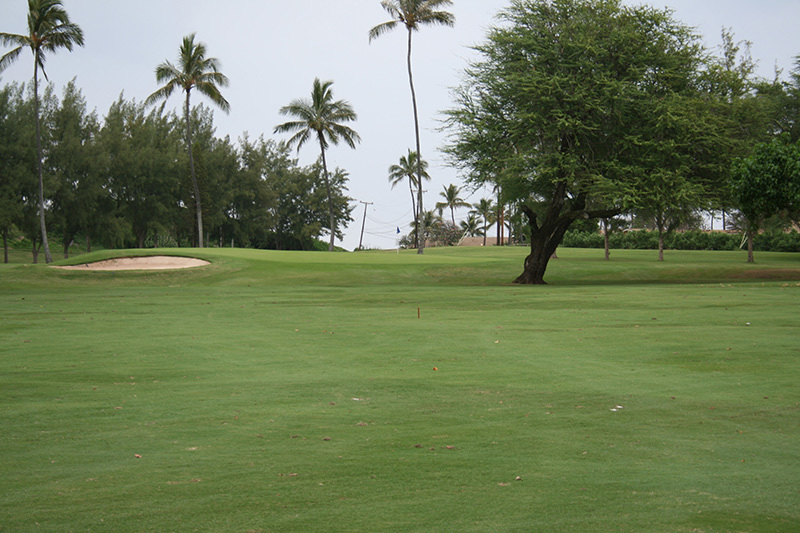 Beware of Kiawe trees on the left. 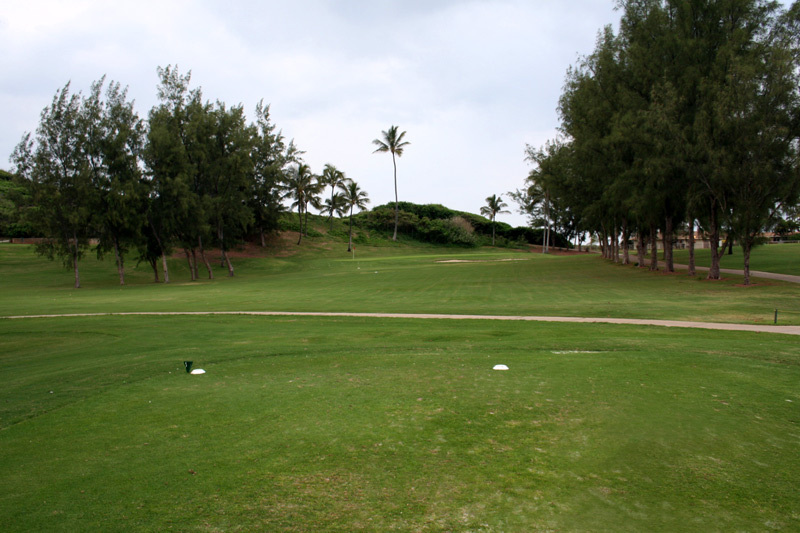 A straight tee shot should leave a relatively short approach. 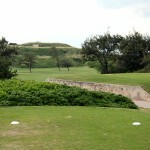 Hole #6 - Into the wind. 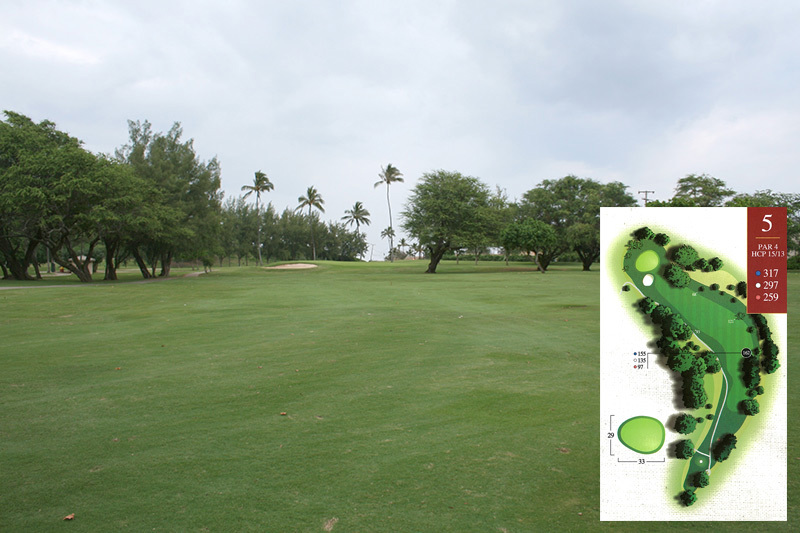 This hole has a very shallow green in depth. 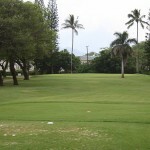 Avoid the brush just behind the green as it is a lateral water hazard. 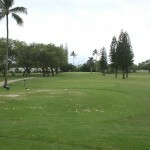 Hole #7 - Dogleg left par 5. 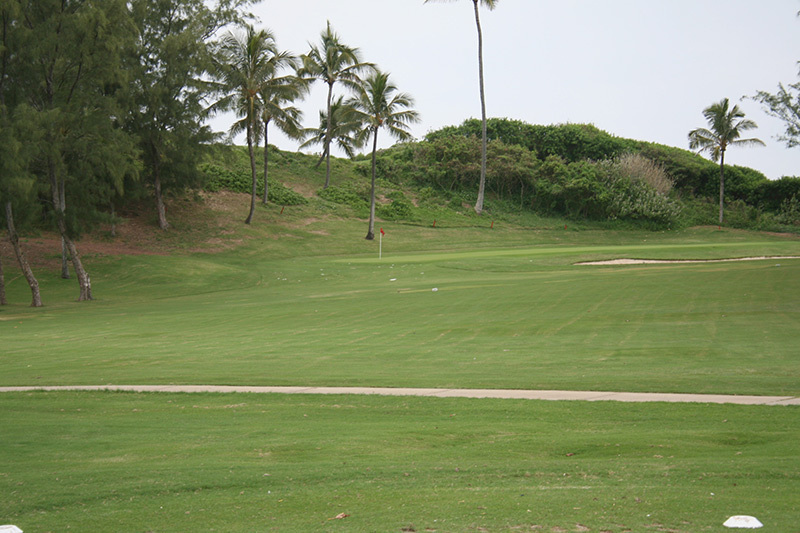 Favor the right side off the tee and on the approach. 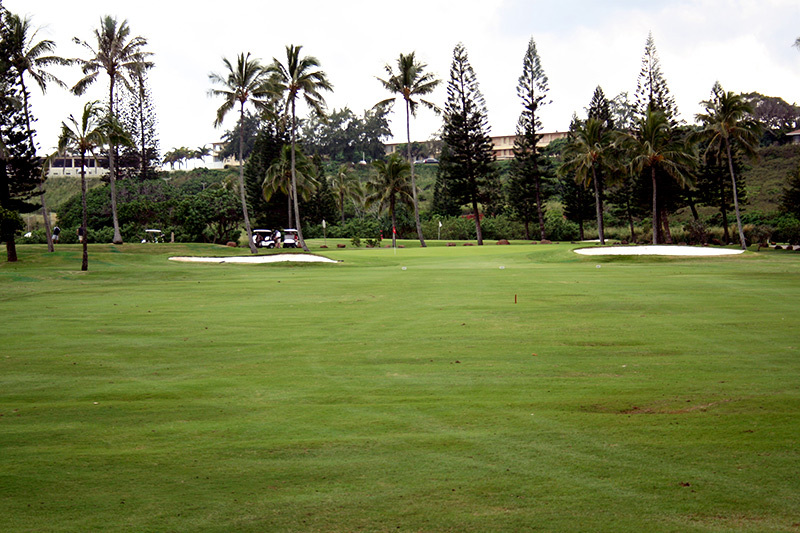 Keep your approach below the hole. 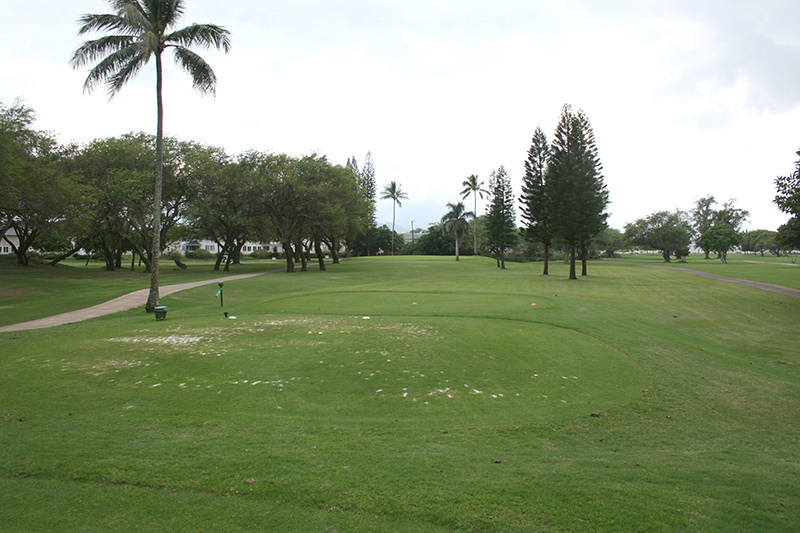 Hole #8 - Slight dogleg left with water guarding left side. 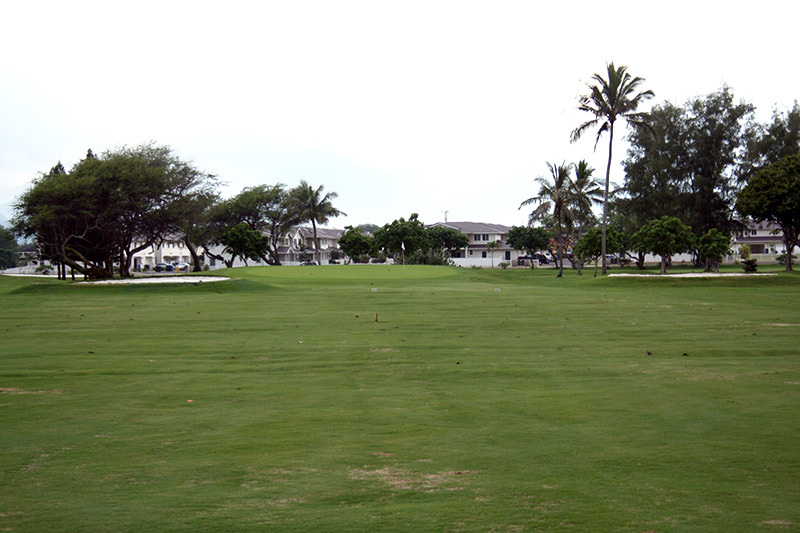 An elevated green makes approach play a little long. 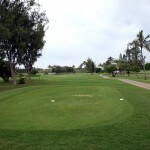 Hole #9 - Short and straight. 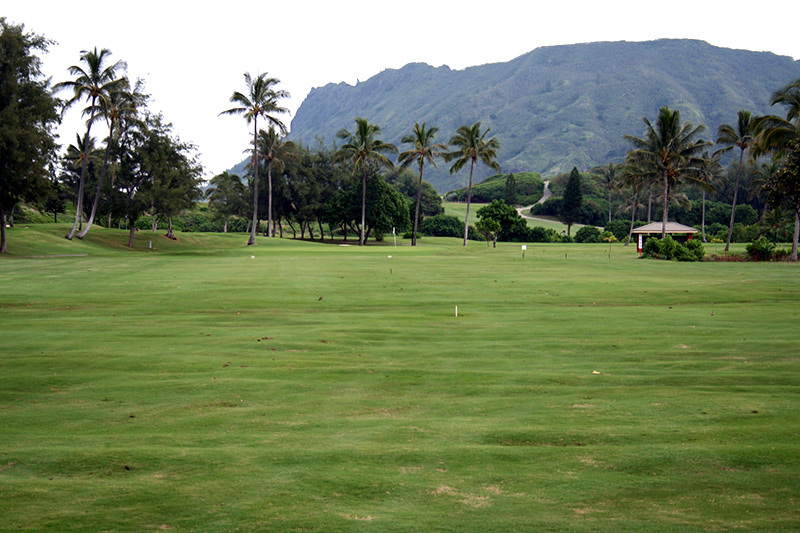 Hitting the fairway is a premium. 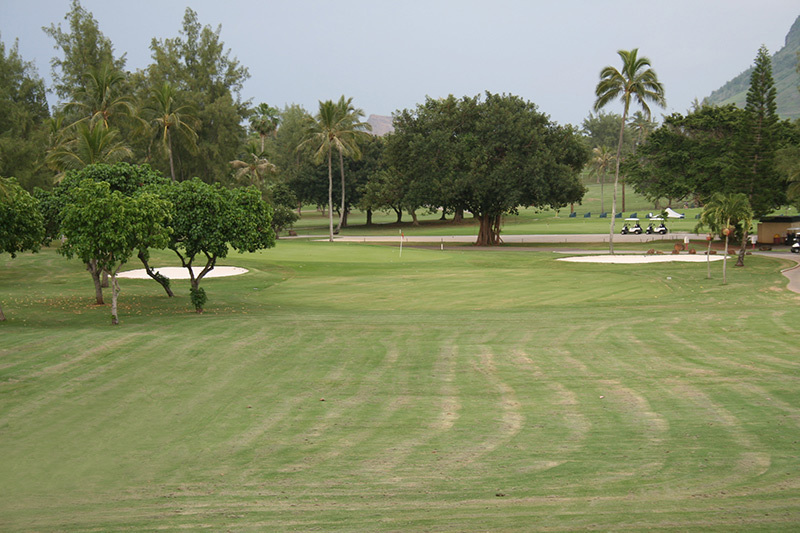 Avoid going over the green on approach. 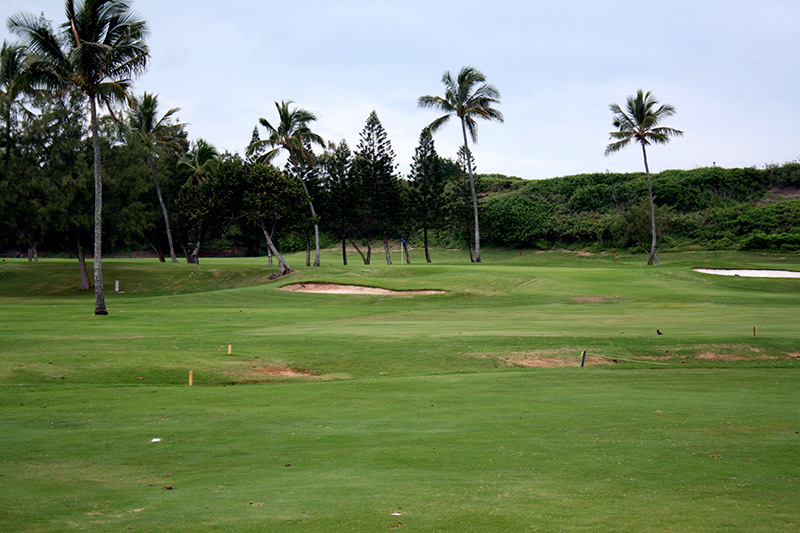 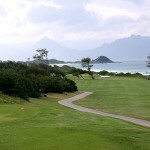 Hole #10 - This hole plays directly into the prevailing trade wind. 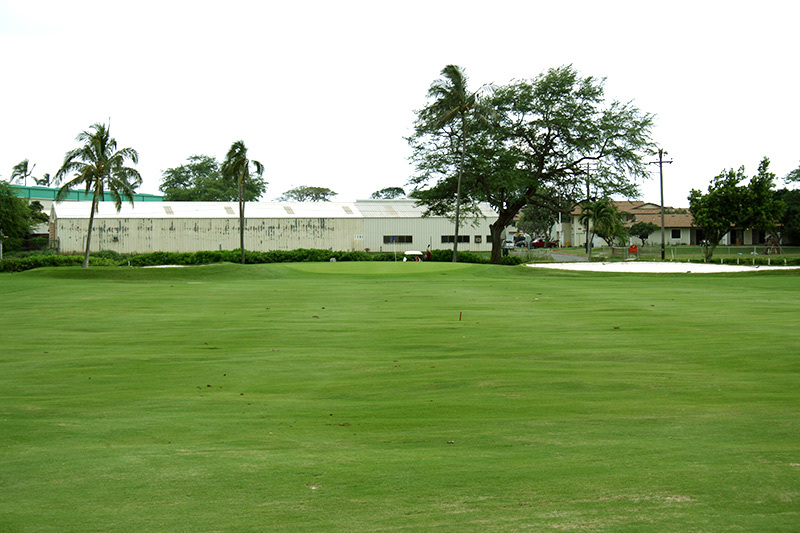 Lateral water hazard guards the entire left side. 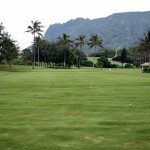 The green slopes severely to the left. 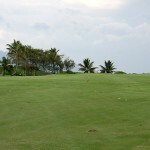 Keep it below the hole. 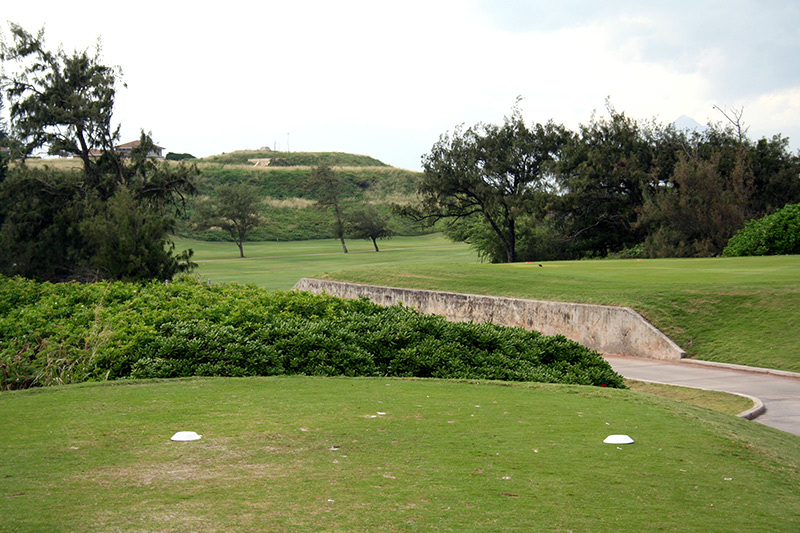 Hole #11 - The wind really moves the ball to the right. 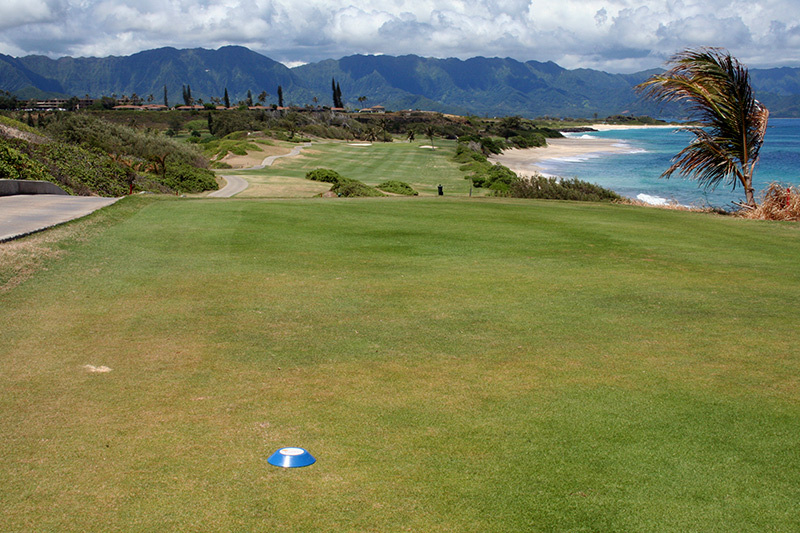 Avoid going long on this hole. 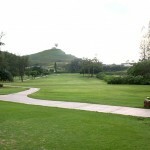 Hole #12 - Interesting uphill dogleg right. 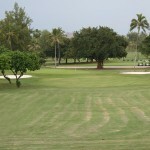 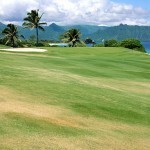 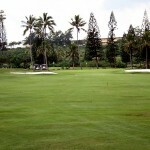 It has a challenging approach with lateral hazards on both sides of the green. 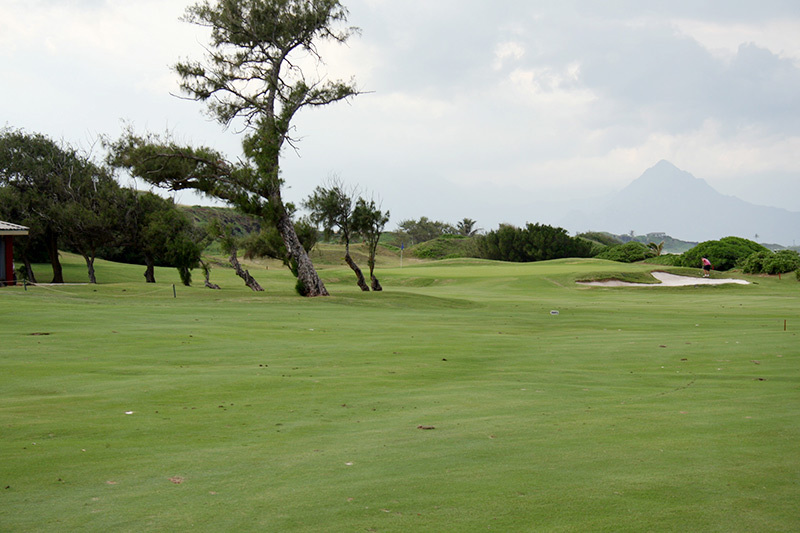 Take an extra club or two on the approach. Hole #13 - Our signature hole along the ocean. 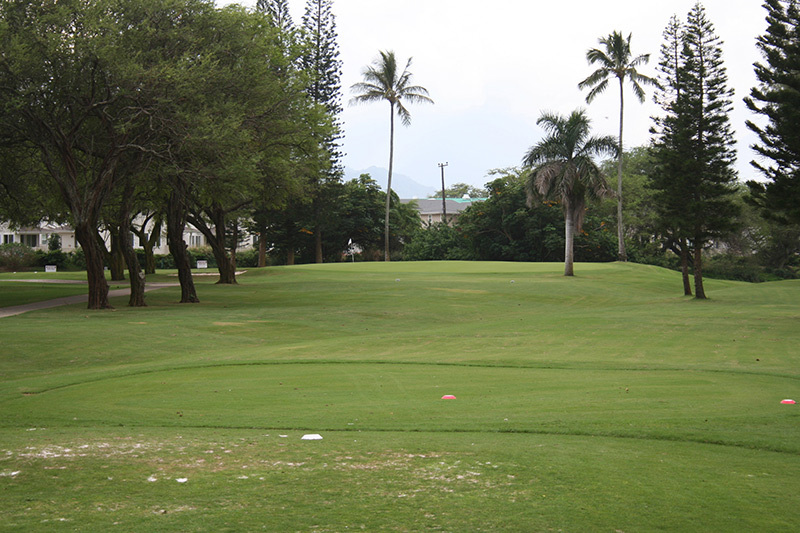 This hole has a challenging tee shot with trouble on both sides. 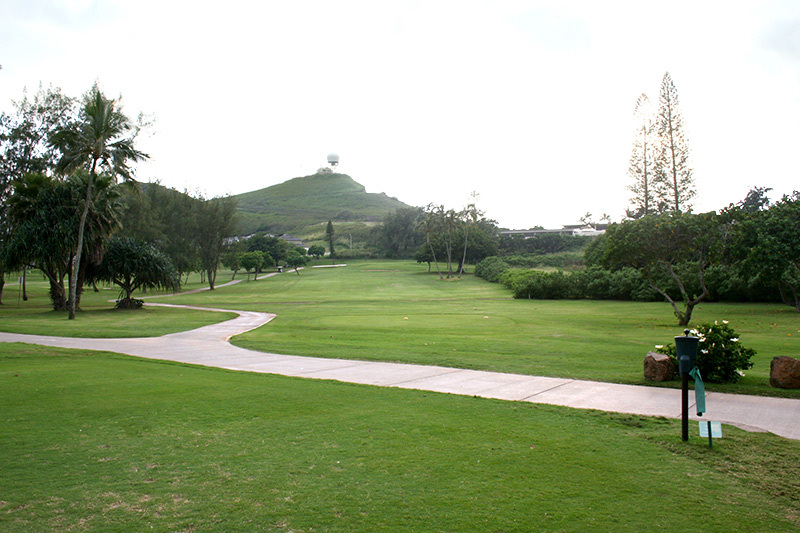 Hole #15 - Dogleg right with semi-blind landing area. 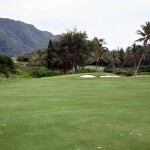 A long and narrow green makes for a challenging approach. 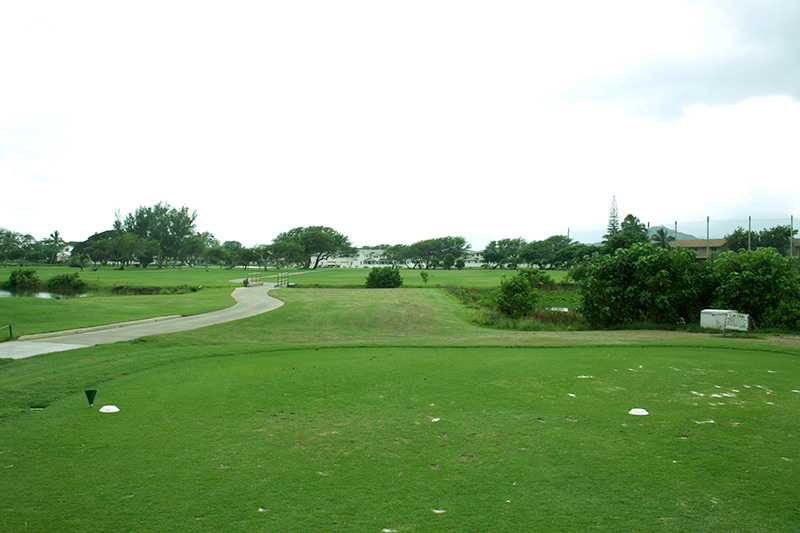 Hole #16 - A short dogleg right par 5. 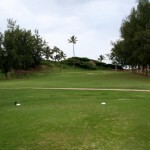 Favor the right center for the best angle of approach. 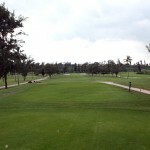 Hole #17 - A short par 4. Long hitters may be able to reach the green off the tee. 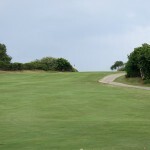 Uphill approach may require an extra club. 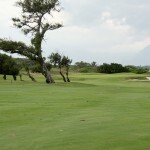 Hole #18 - This is the longest par 3 on the course. 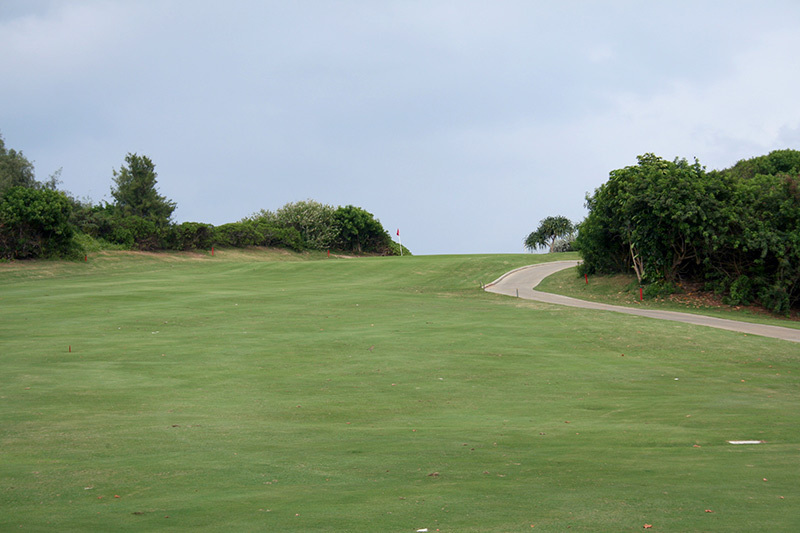 Avoid going left and long. 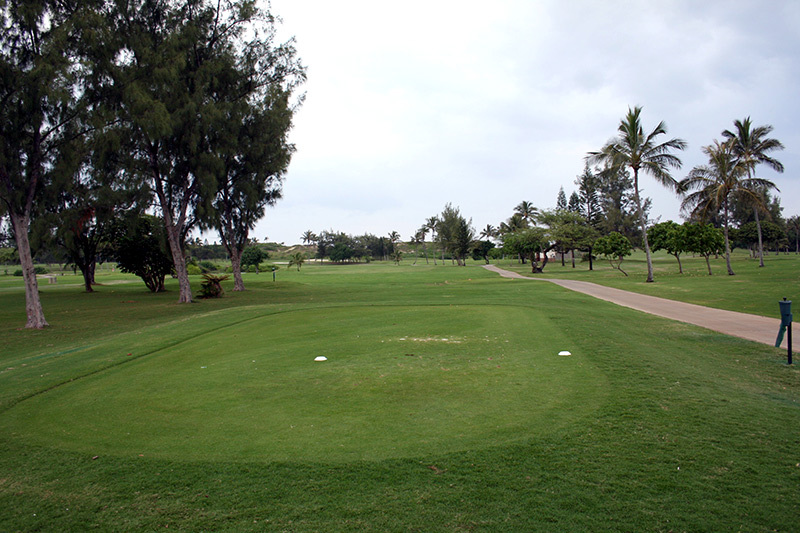 Click on an image below to see a photo gallery of each hole.